Welcome to the #RevPit #Biohop! I’m M.A. Guglielmo, neurosurgeon, mother of two awesome daughters, and a life-long fan of speculative fiction. My Italian grandmother may or may not have been able to cast the evil eye on difficult neighbors, and I love telling a good story, especially if magical curses and witty villains are involved. My interest in Mediterranean and Middle Eastern politics and culture inspires me to incorporate mythology and folklore from the region into my writing projects. After having the wits scared out of me by ghost tales told over a campfire in the Moroccan Sahara, I’ve come up with a plan to travel to all the potential settings for my novels. Since those include the mountain-ringed home of the Jinn and a modernized version of the Greek Underworld, some items on my bucket list might be harder to achieve than others. This year I’m taking part in #RevPit, a Twitter contest that focuses on novel revision. Put on by the editors at Revise & Resub, the goal is to interact with other authors, play geeky writing related games on-line, and possibly win an editorial revision of a novel-in-progress. I’m currently revising KORE, a YA novel loosely based on the Persephone myth. The always amazing K.J. Harrowick is sponsoring a blog hop for the contest, and has even kindly offered to assist those of us (like me!) who are technologically challenged. Here’s her link on how to create a novel aesthetic like the one I created for KORE. 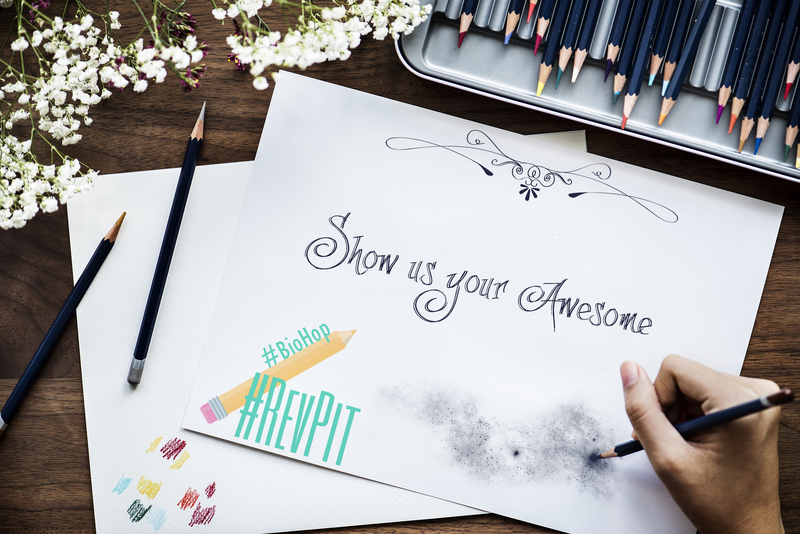 If you’re a writer planning to enter #RevPit, add a bio post to the blog hop! The submission form is here. Even if you’re not planning to play at #RevPit this year, follow along on the #RevPit hashtag for all the excitement. If you don’t already, feel free to follow me on Twitter, or check out all the pretty pictures on my Facebook author page. Rub the genie lamp below to sign up for email updates. Author Interview with Yours Truly Big News…My Debut Novel is Coming Soon!